YouPoundit Wins The Retail Startup Of The Year At Rice Bowl Awards! Home / news / rice bowl awards winner / services / youpoundit / youpoundit online store / youpoundit rice bowl awards / YouPoundit Wins The Retail Startup Of The Year At Rice Bowl Awards! 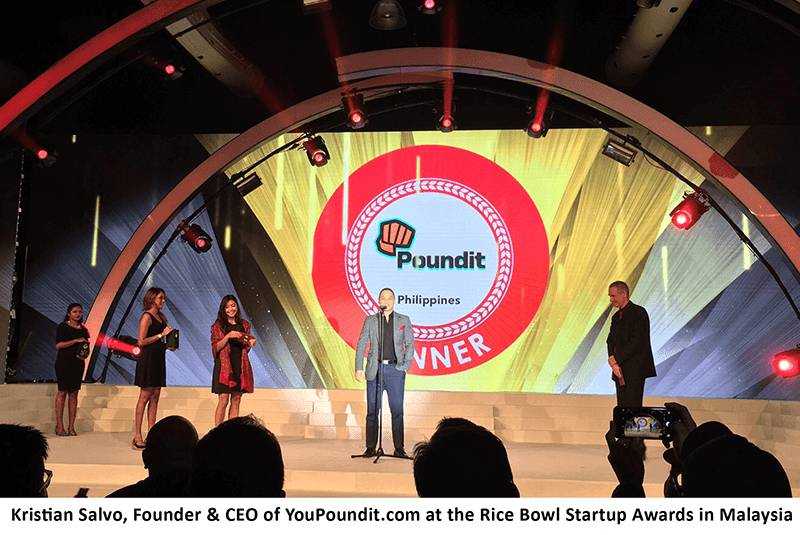 YouPountit.com a known e-commerce site that sells a lot of consumer electronic in the Philippines just took home the "Retail Startup Of The Year" at the Rice Bowl Awards held at Kuala Lumpur, Malaysia. The awards are named after diet staple among Asians, so is technology for fuelling businesses of the future. A total of 376 nominations were received across outstanding startups in the region. A panel of over 30 judges from the awards community partners evaluated the entries in four broad areas: Business, Traction, Unique Selling Proposition and Investability. YouPoundit.com bested other retail startups in the ASEAN region to win the Retail Startup Of The Year category. That's what you call a clear testament on how much effort the guys at YouPoundit are putting into the quality of their craft. Keep up the good work guys in giving consumers great prices all the time. Congratulations!